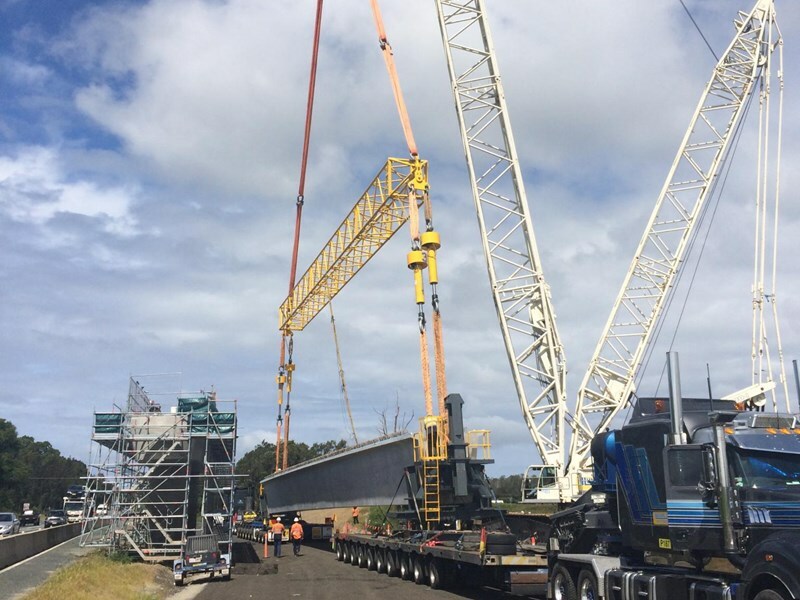 The use of an Enerpac SyncHoist lifting system has allowed Pacifico to position girders precisely and safely as part of its project to upgrade Queensland’s Nambucca River Bridge. The project requires multiple 158-tonne precast concrete girders to be placed in order to support the bridge, which is part of the Australian Government’s $830 million Pacific Highway upgrade between Warrell Creek and Nambucca Heads. The Nambucca River Bridge will be 850 metres long, carrying two lanes of traffic in each direction, separated by a median barrier when completed. Pacifico won the contract for the Warrell Creek to Nambucca Heads section, and engaged Universal Cranes for the transport and installation component. Universal Cranes recommended the Enerpac SyncHoist for all the girder lifts, as the firm had already successfully used the technology on Brisbane’s $72 million Riverwalk project. "We always recommend using the SyncHoist system," Universal Cranes engineering and sales manager Nick Morris says. "The job can be done without it, but nowhere near as quickly. "The first beam lift at Nambucca River took 10 minutes. In our industry, that’s lightning fast. It would usually take an hour to lift a beam half that weight. "It’s an incredibly complex process to land the girder directly on the bearing," he adds, "but the SyncHoist makes it simpler and quicker." The version of SyncHoist technology used on this particular project was developed especially for heavy lifting and to safely control irregularly shaped and uneven loads by determining the centre of gravity of each load. A major advantage of the SyncHoist is that workers don’t have to change rigging gear between arrangements. "We just make the necessary adjustments to the rope with the SyncHoist and we’re ready to go. 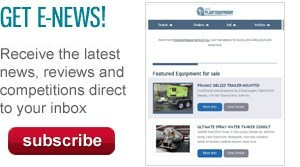 This can save up to half a day in downtime," Morris says. "Our lifts are faster, safer and more flexible and they can be easily customised to a particular application." The system allows vertical and horizontal manoeuvring using one crane, while reducing the risk of damage from oscillations of wire rope due to sudden crane starts and stops. "The SyncHoist is designed for the most complex lifting challenges," Enerpac integrated solutions manager Warren Baltineshter says. "It has a huge range of applications in the construction, infrastructure, mining, energy, resources, oil and gas and safety industries – basically anywhere that requires precise positioning of a heavy load." Enerpac has been established as a major supplier of high-pressure hydraulic equipment in Australia and New Zealand for 50 years. The company is wholly owned by Actuant Corporation, a Wisconsin-based firm with customers in more than 30 countries.